Hannibal Buress is known for his appearances on “30 Rock” and “Broad City” as well as for his stand up comedy, including his own special on Comedy Central. Now Buress takes his comedy to the next level on his latest special airing later in March. He sat down to chat with CableTV about it and why he thinks people are going to be surprised when they watch it. Q: You toured around the United States and are doing another hour long special on Comedy Central. How does that all happen? How do you go from touring around small gigs to being on “The Tonight Show with Jimmy Fallon” and these other big shows? Buress: This is my second special and it’s just through working. I wanted to do some big things for stand up and I wanted to do an hour special. I did my first one in late 2011 called “Animal Furnace.” Then Comedy Central gave me the opportunity to do another special, do a tour, and to work on some television shows, like “Broad City.” I asked them if I could do a special in Chicago, which is my hometown. Of course any special is big, but now I am excited to put out the second one because it’s my home. Q: Everyone assumes being a comedian must be so easy, but I know it must take years to hone in on your craft. To do an hour or even 30 minutes is a long time. Have you been prepping for a long time? Buress: It’s just about doing bits and trying to create new material and honing it on the road. Sometimes it’s planned other times it comes to you while you are on stage. A lot of times its repetition and trying to make the material better and see how it flows. It’s just about repeating and improving. It’s really trying to make things better. It’s nice because by the time you do a special your material has been tested by audiences around the country. So you have an idea of what to expect. Q: I know you mentioned it already, but you are going to be on Comedy Central’s “Broad City” and FX’s “Chozen.” How do you have time to do all of this stuff? Buress: Those things are spaced out in a way where I am not doing them all at the same time. For “Chozen” it’s just voiceover. So I go into a booth and record for an hour. “Broad City” we did that in a month or two months or so. It’s just about figuring out the schedule. It hasn’t been that tough to figure out the schedule. Q: As a comedian, how does it feel to make it, to have a career where you are known and are on all of these shows? Buress: It’s very exciting to be working and I am excited to be on funny projects. I am glad. I have been working for a while and I am fortunate to be in these situations so it’s cool and I am glad that I was finally able to quit my job at the Dojo. Q: Can you give away anything about your special? What are your fans in for? Buress: They can expect me to be talking. They can expect my jacket to look fly. They could expect jokes about stuff, music, traveling, drugs, knives, bow staffs, and movies. That is why they should tune in. Buress: I just did a movie called “Neighbors” with Zac Efron and Seth Rogan where I play a police officer. Efron is a frat leader and Rogan moves next door to him and nothing happens. There is no arguments or anything into the last five minutes of the movie and that’s when you see me as the credits begin to role. Can you believe that? No arguments in a Seth Rogan film. I was amazed [laughs]. 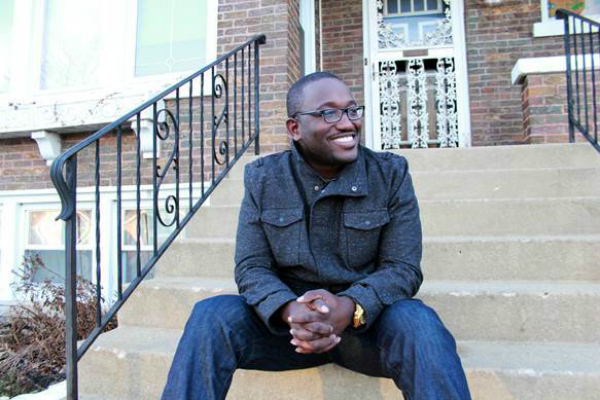 Check out Hannibal Buress in his Comedy Central stand up show on March 29. Check your local listings for times.